A fun way to learn the elements of the periodic table. Based on the successful card game. All 118 elements are covered in the game with visual and written clues. 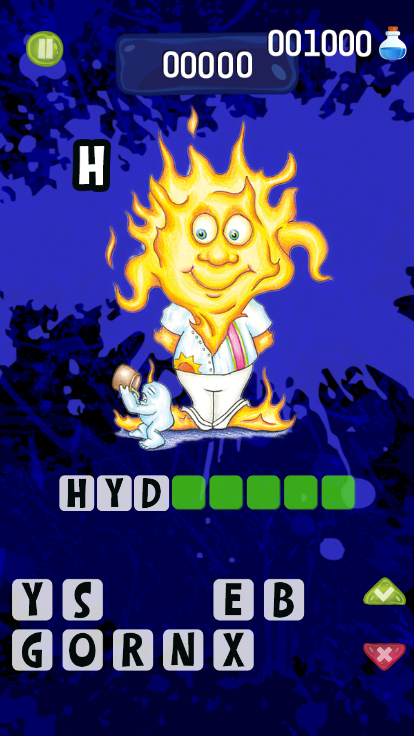 Click on the letters supplied with each clue to place them in the answer grid. Score points and valuable Chemistry Units for correct answers, use these Chemistry Units for filling in blank spaces and removing letters using the hint keys.